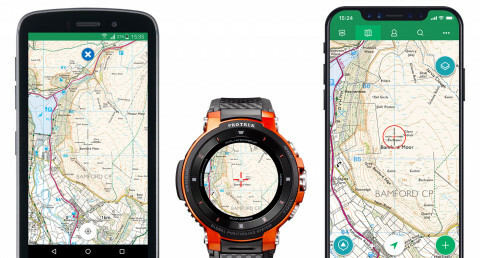 ViewRanger, the outdoor GPS app and global community for outdoor enthusiasts, today announced new integrations with Casio, bringing more maps, more routes, and more navigation features to their PRO TREK line of smartwatches. 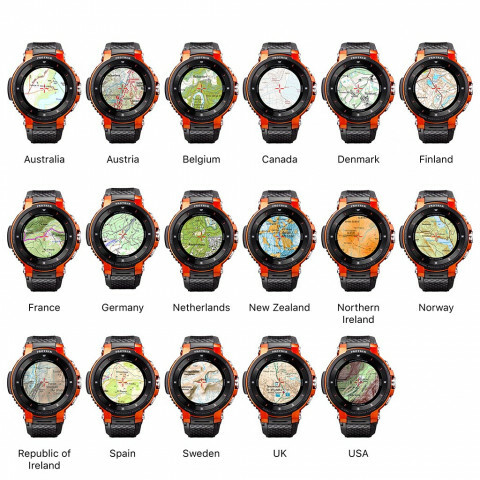 Outdoor enthusiasts can use ViewRanger on a Casio smartwatch to find routes near their GPS location, and select and save more than 20 offline map styles. The new ViewRanger app also works with Casio smartwatches paired with iPhones. The app can run as a standalone watch app too, meaning no smartphone connection is required after downloading offline maps and routes. In addition, the ability to record a track and view them on an offline map without a phone is an exclusive standalone feature for Casio smartwatches. Casio and ViewRanger have worked together on several projects over the past three years. This latest collaboration brings more optimized features for Casio Pro Trek smartwatches, including the newest WSD-F30 model that offers a brighter screen and longer battery life so adventurers can explore with confidence in the outdoors. - Pick what offline maps are saved on your Casio smartwatch, including worldwide street maps, terrain maps, and satellite imagery. - Download premium offline topographic maps onto watch for 17 countries, including Austria, Australia, Belgium, Canada, Denmark, Finland, France, Germany, Great Britain, Netherlands, New Zealand, Northern Ireland, Norway, Republic of Ireland, Spain, Sweden, and USA. Some maps sold separately. - Discover route guides within 1.5 kilometres of your GPS location. - Import routes from your ViewRanger account. - Save routes and related maps for offline use. These standalone tracks and stats features are exclusive to Casio smartwatches. - Record and track your outdoor activity. - See your track on detailed maps. - View live stats, including altitude, distance, duration, and elevation gain/loss. - Sync tracks to your ViewRanger account. - See your GPS location on maps. - View your current GPS grid position. - Consult digital compass and waypoint directions when following compatible route guides. - ViewRanger taps into the built-in GPS on the Casio Pro Trek Smart. No WiFi or data signals required to navigate routes, record tracks, and view offline maps. For full offline use without a phone, users need to download routes guides and offline maps before leaving home. CASIO is multinational consumer electronics manufacturing company based in Japan. The company was founded in 1946 since then the company invented the multiple world first technology such as the first automatic calendar watch, the first GPS watch, the first MP3 player and more. The CASIO Pro Trek smart is an outdoor smartwatch which is the one of toughest smartwatch existing in the market today.